Cab booking service is a major transport service provided by the various transport operators in a particular city. Mostly peoples use cab service for their daily transportation's need. The company must be a registered and fulfills all the requirements and security standards set by the transport department. o Give your customers the facility to make payments and deposits online with their credit / debit card. o Generate Invoiceso Update your web site without the need to get a web designer involved. 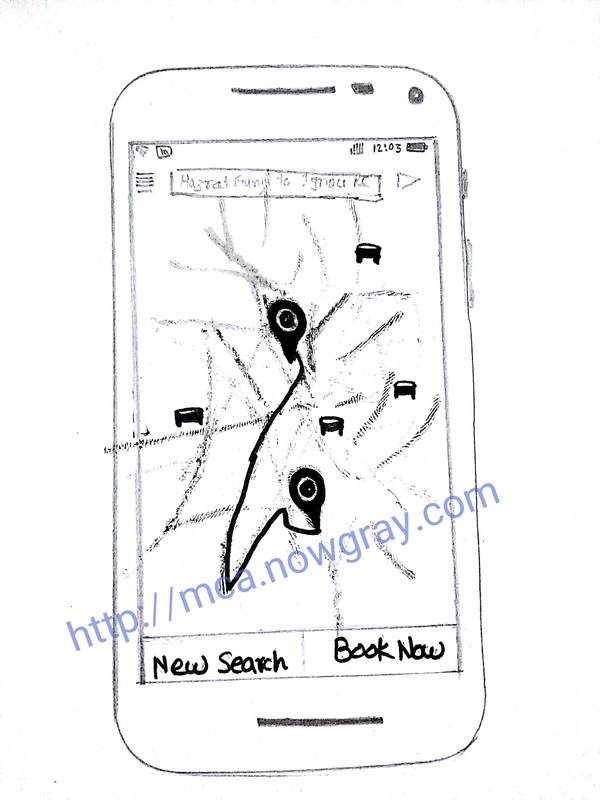 The purpose of this case study is to describe the cab booking system which provides the cab booking details ,billing, and cancellation on various types of booking namely. The systems development life cycle is a project management technique that divides complex projects into smaller, more easily managed segments or phases. Segmenting projects allows managers to verify the successful completion of project phases before allocating resources to subsequent phases. Software development projects typically include initiation,planning, design, development, testing, implementation, and maintenance phases. However, the phases may be divided differently depending on the organization involved. For example, initial project activities might be designated as request, requirements-definition, and planning phases, or initiation, concept-development, and planning phases. End users of the system under development should be involved in reviewing the output of each phase to ensure the system is being built to deliver the needed functionality. heir timing number of seat available, and bookingbilling and canceling the cab. The website www.uber.com offeres CBS enquiries on the internet availability, status , fare,service area etc. Setting up of voice response system. Any booking can be done 24 hours. One form for single booking. Booking is done through pre defined logic. It tells the short note about the product. Customers may view the cab timing at a date their name and their type of booking. After checking the number of cab available the customers books a cab ornumber of cabs according to their requiremnets. After reserving the required cab, the customer pays the amount in advance(optional). If the customer want to cancel the cab then 10% of the amount per person is deducted if the booking is cancelled before 30 mins of the service time. Less than 1 sec for local transactions. 3 sec for network transaction. 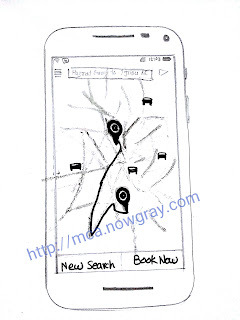 Cab Delay Alert Service.Booking Terminals Interactive voice Response System. modules so that the code doesn’t crash on errors. Integration testing is a systematic technique for constructing the programstructures, while conducting test to uncover errors associated withinterfacing, the objective is to take unit tested modules and build aprogram structure that has been dictated by design.User interface of i-Admit was developed in modules. All of them were joined together to make the complete running application. Whileintegrating these modules, integration testing was performed on them toverify that they meet all interfacing requirements and that they passrelevant information among themselves. In the end the complete programstructure was tested to ensure interoperability of all the modules. Validation Testing may begin. Validationcan be defined in many ways, but a simple definition is that validationsucceeds when software functions in a manner that can be reasonablyexpected by the customer. Software validation is achieved through aseries of Black Box tests that demonstrate conformity with requirements. the user and recording errors and usage problem. Alpha tests areconducted in a controlled environment.Alpha tests were performed at our development site with the help of ourfriends, who were called and asked to run the program in the mannerthey like, without our guidance and errors and usage problems werenoted and code was updated to remove all of them. deployed at the user’s site. Ultimately software is incorporated with other system elements (newhardware, information) and a series of system, integration and validationtests are conducted. It is actually a series of different tests whose primarypurpose is to fully exercise the computer-based system. Although eachtest has a different purpose all work to verify that all system elementshave been properly integrated and perform allocated functions.System testing of this system was performed at the development lab of this system by integrating the functional systems to imitate the actualwork environment. Since no special hardware was needed for thispurpose, the testing proceeded and succeeded with no errors. Many computer-based systems must recover from faults and resumeprocessing within a pre-specified time. In some cases a system must befault tolerant that is processing faults must not cause overall systemfunction to cease. Recovery testing is a system test that forces thesoftware to fail in a variety of ways and verifies that recovery is properlyperformed. If recovery is automatic, re-initialization, check pointingmechanisms, data recovery, and restart are each evaluated forcorrectness. If recovery requires human intervention the meantime torepair is evaluated to determine whether it is within acceptable limits. password if the user is already logged in. Performance Testing is designed to test run time performance of softwarewithin the context of an integrated system. Performance Testing occursthroughout all steps in the testing process. Performance tests are oftencoupled with stress testing and often require both hardware and softwareinstrumentation. That is it is often necessary to measure resource utilizationin an exacting fashion. External instrumentation can monitor executionintervals, log events as they occur, and sample machines take on a regularbasis. By instrumenting a system the tester can uncover situations that lead todegradation and possible system failure. Information Technology plays a vital role not only in a particular field, it provides various kinds of solutions and services to the various problemsprevailing in many fields. Cabs exploits information technology at themaximum extent. It uses the information technology in an efficient way forproviding better passenger services. The online booking system helps tosolve the every day problems of the world biggest Indian .